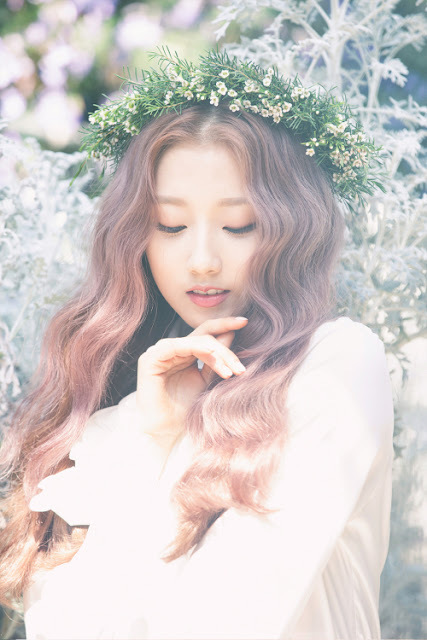 [Interview] Lovelyz's Yein "Our own color, we'll show you in the new year to our heart's content"
Jung Yein of the girlgroup Lovelyz looked back at 2016. In a recent interview with Sports World, Lovelyz's Jung Yein stated, "This year, Lovelyz's 2nd anniversary is the most memorable." She told us, "We visited an animal shelter with our fans and did a lot of volunteer works. I'm proud that we spent a meaningful 2nd anniversary." Jung Yein said, "In 2017, I really want to meet our fans with the color and music that only Lovelyz can do." She also requested, "It's my 2017 goal that we can meet our fans with a more developed image. Please anticipate Lovelyz a lot in 2017." Meanwhile, Lovelyz will hold their first concert, "Lovelyz in Winterland", on January 13th-15th, slated to open a wide door for their new year activities.